Recently I’ve been contacted by Korean journalists who wanted to know my opinion about baobab powder for the TV documentary they were producing. I have previously done lots of research about this superfood and wrote about it extensively on my blog. So I knew quite a lot about this nutritious powder and was happy to give the interview. It later occurred to me that while I am happy to talk about baobab powder, its nutritional value and health benefits, it doesn’t mean that now everybody should start using it as part of their diet. Do you actually need it anyway? How beneficial would it be for you? In this post I wanted to make it clear who would actually benefit from consuming baobab powder daily and who wouldn’t. First of all, I understand that not everybody knows what baobab powder is, so let’s begin with this first! 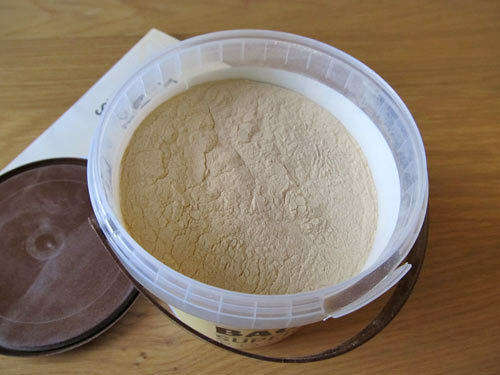 Baobab powder is made from African baobab fruit which naturally dehydrates on baobab tree. During the harvest, all the suitable fruits are hand picked and their hard shells are cracked open to reveal dried fruit pulp which is then separated from seeds and turned into a powder. This process is not complicated and does not require any heating so all the nutrients are preserved. 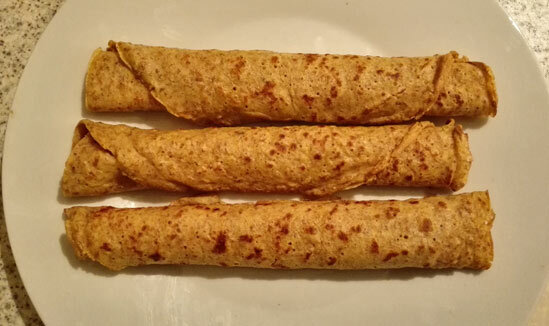 The final product is 100% natural with nothing added to it (as there is no need to add anything!). Baobab powder is rich in various vitamins and minerals and gram per gram it contains six times as much vitamin C as oranges. It’s also a good source of iron, calcium and potassium and it also contains plenty B vitamins, magnesium and phosphorous. Baobab powder has a pleasant slightly sweet, lemony flavour and can be used in a variety of dishes and added to drinks as well. What’s not to love then? Baobab fruit powder certainly has some nutritional benefits but who can benefit? Should you consume baobab powder? I see baobab powder as one of the most natural ways to add extra vitamins and minerals to your diet. This is better than taking synthetic vitamins as natural foods are easier to absorb by your body. Just to keep in mind that baobab powder will make only a small contribution to your overall daily nutritional needs – a couple of tablespoons should make more difference than just having one teaspoon a day. One of the reasons why I started consuming baobab powder was because I was slightly concerned that I may not be getting enough calcium as I wasn’t drinking cow’s milk. Calcium is important for healthy bones and for prevention of osteoporosis so we do need to try and make sure we get enough of it through our diet. While it shouldn’t be too difficult to get enough calcium through your diet, certain people need a higher intake, for example pregnant and breastfeeding women. However, it’s important to know that calcium won’t get absorbed by your body if you are not getting enough of vitamin D and certain minerals such as magnesium. Luckily, baobab powder does contain some magnesium. Apart from dairy products, you can find calcium in other foods such as sardines, figs, broccoli, tahini, almonds and oranges. If you are looking to increase the amount of calcium-rich foods you eat, then baobab powder is definitely something worth considering. In fact, some pregnant women in Africa consume baobab powder just for that reason. If you are a vegetarian or vegan you may find baobab powder especially beneficial due to both, its calcium and iron content. It’s just another way of adding a proportion of recommended daily dose of these essential minerals to your diet. Those of you who are not eating enough vegetables or fruits (maybe you don’t like them!) will really gain from consuming baobab powder daily as it will give you a good dose of vitamin C which is essential for a healthy functioning of immune system and important for a healthy skin. If you are extremely busy and under lots of stress your body needs extra vitamin C which you can get through your normal fruits and veg or you could decide to get this from baobab powder. Remember, multivitamin tablets and various ‘superfoods’ cannot substitute a healthy and balanced diet. The first thing anybody who wants to be healthier, should do, is try to improve their diet by introducing more fruits, vegetables and healthy snacks but also reduce the amount of processed foods they eat. So first, get your diet sorted and then see how you can improve it by introducing nutritionally-rich superfoods (if needed). So there you have it, all the information you need (I hope!) 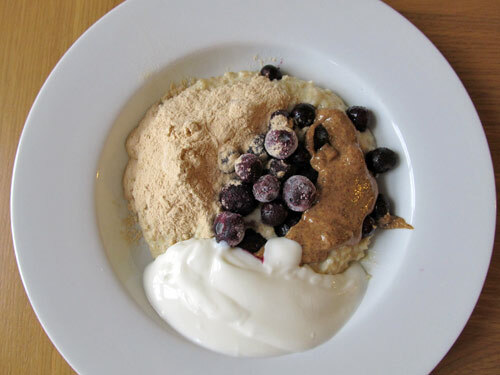 to help you decide whether baobab powder would be a good addition to your diet or not. I hope you found it useful. Let me know your thoughts in the comment section below! 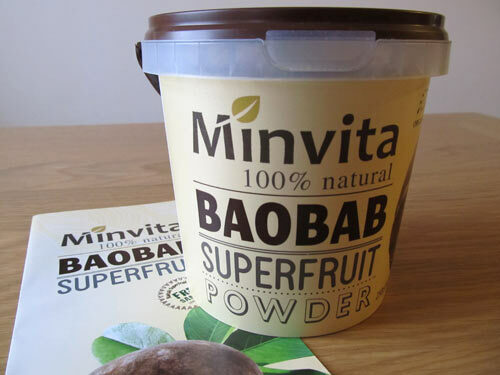 I’ve been using baobab powder from Minvita which you can buy directly on Minvita website or on Amazon. Wow, you used to live in Africa! Does the powder you buy in the UK taste the same as the one you used to eat in Africa?